This is a submission by a representative of University of Louisville Health Promotion, a division of Campus Health Services. 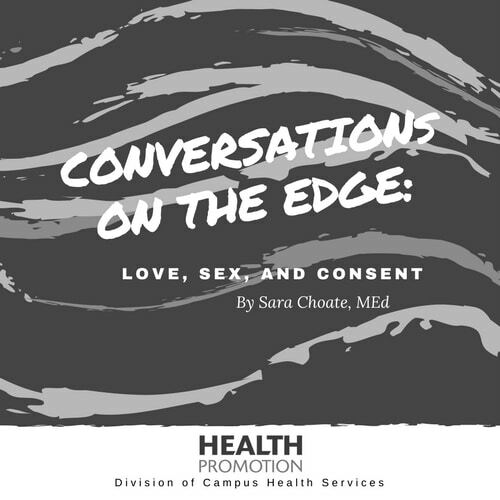 This month’s topic, how to gauge desire with a partner or potential partner, offers a blueprint to know when someone you like is reciprocating romantic or sexual interest. We will also discuss how to make sure you’re responding to their desires appropriately when things begin to heat up. Let’s first talk about how you can tell if someone likes you in a way that says, “Hey, I want to be more than friends.” I heard from a few U of L students who shared their thoughts on the subject. When you’ve established that you’re into someone, and they are into you, what comes next? Talking about what you like and asking your partner what they like can be challenging, especially if you’re not accustomed to communicating about your desires verbally with another person. If you’re like most people, you may have real fears about sharing your sexual desires with another person. You may be nervous that your partner may reject you or think what you like is weird. Or you may just feel uneasy about asking for what you want or like. All of these feelings are natural and normal. Do you like it when I _____? How would you like me to ______? How do you feel about ________? What do you think would be fun to try? What would you like me to do/try? Staying alert to the nonverbal cues a potential partner may be sending and practicing ways to communicate openly and clearly about your needs and your partner’s needs are the building blocks to consensual experiences that can be enjoyable for everyone involved.